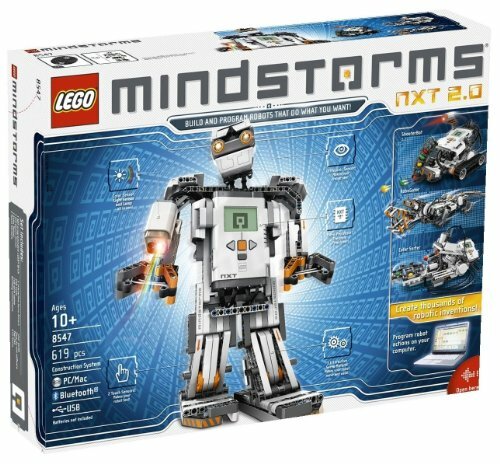 Are you trying to find a Lego Mindstorms or NXT Robotics kit for your child? If so, you may be pleased to find that we’ve researched the top options that are currently available. You can find them in the review below where we’ve outlined the main features, pros, cons, age recommendations, and what makes each one stand out. We also understand how overwhelming it can be to understand all of the different sensors and accessories that are available for these sets. If you aren’t confident on which kit or accessories your child would enjoy the most, you can use our buying guide section that’s available at the end. By the end of this review, you’ll be feeling great about the final decision that you make. This Lego Robot Kit is an exciting toy set for kids who are 10-15 years old. We were impressed with the sheer number of features that it has to offer and you can feel confident in knowing that it will keep your kids engaged for hours. It has managed to find a way to make learning about engineering and coding exiting. Kids are provided with a total of 601 pieces to construct, which is plenty to ensure that they can spend a long time building this set. During the building process, children are able to develop their motor skills and hand-eye coordination. Not to mention, their problem-solving skills are also able to improve greatly due to the number of pieces that are available. We liked how there is a range of 5 different models available for kids to build. So, once they’ve used the pieces to build and play with one toy, they can disassemble it and rebuild it into a different model. This is fantastic for boosting their imaginative play abilities. The EV3Storm model has a tri-blade feature that can spin around, as well as a bazooka blasting function. Kids have a blast incorporating this one into their pretend play games and being more creative. There’s a Track3R model that is able to crawl across different types of terrain. The Gripper model is able to hold onto various object and pick them up as a result of its strong gripper features. The R3Ptar model lets kids use it to move as faster speeds to strike its opponents with the fang design that has been used. Lastly, the SPik3R model has 6 legs and comes with a lightning tail. All of these models are a ton of fun for kids to use and they’re highly effective at providing kids with the ability to play and think with more creativity. The remote control that they’ve included lets kids have total control over each one of these toys and kids have been having an absolute blast with it. They’ve implemented infrared technology into the remote control to ensure that it’s super responsive and easier for children to play with. Parents have also been surprised to discover how educational this set it. It comes with a range of programming features which you can download on various devices, such as Mac’s or PC’s. The software that comes with this toy kit enables kids to start learning about programming in a fun and engaging way. We liked how the software makes it accessible for kids to use by incorporating a great drag-and-drop function. This lets kids control their robot toys to talk, walk, and perform a range of different movements. Therefore, it’s an incredibly engaging way for children to get an introduction to how programming works. 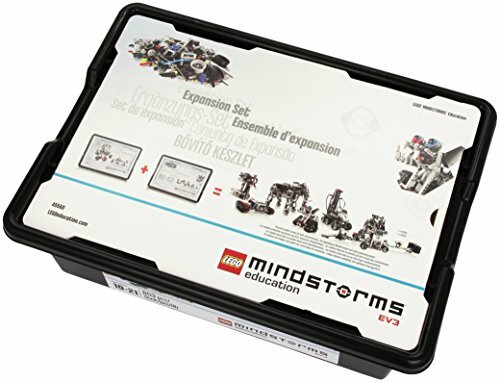 There’s also a ton of content available on the LEGO Mindstorms site that allows kids to experience more when it comes to their EV3 toy. This set can also be used with a range of other LEGO sets. Therefore, kids are given the freedom to make larger and more complex sets to challenge their problem-solving skills and creative thinking abilities. So, this is a set that will last your child for years of play and learning. 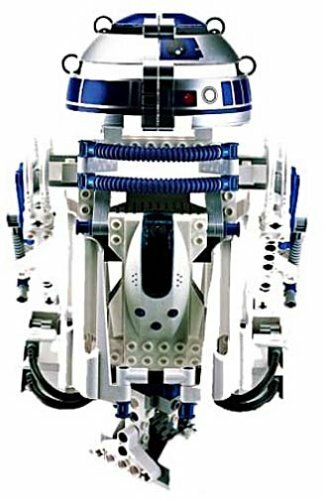 The main robot toy that comes with this set measures in at 16 x 14 x 15″ in size. So, it’s a larger toy that still allows kids to implement it easily into their pretend play games. There are fantastic sensors available with each one of these models too. They include IR, touch, and color sensors. These are highly effective at making the toy more interactive for kids to play with. The ARM9 processor available with this kit is powerful and works impressively to make this highly technological toy work so well. Some of the other fantastic features include buttons that are back-lit, a USB port and WiFi for easy connectivity, and a Micro SD card reader. This is an awesome toy set that comes with a range of models for kids to build and play with for hours of creative play. They’re also given the opportunity to learn more about how programming works with first-hand experience. 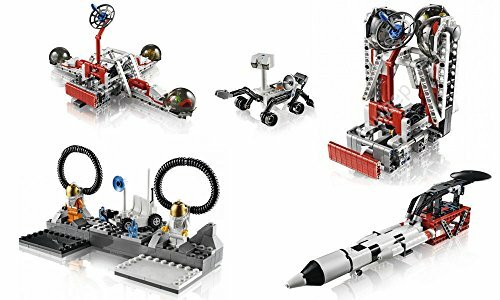 This Mindstorms EV3 Space Exploration Set provides kids with all the parts that they need to create Mars for themselves. By constructing the different pieces, kids are able to develop their motor skills and hand-eye coordination. We were impressed with how this set provides kids with the opportunity to learn about sensors, motors, fears, axles, and more. It’s a highly interactive and hands-on experience which makes it more exciting for kids to learn. Children are also encouraged to use this set in groups to learn together. This is another great method of encouraging kids to learn. It’s also effective for developing their teamwork abilities and social skills. This is an excellent set for encouraging kids to work together and improve their teamwork abilities, while also learning more about Mars. Lego’s Mindstorms NXT 2.0 kit comes with a matrix display that’s large and easy to kids to read. There’s also a 32-but microprocessor, which enables the toy to function remarkably well. In addition to this, it features a total of 3 interactive servo motors and 4 sensors. These sensors include 2 touch sensors, an ultrasonic sensor, and a color sensor. So, this is a highly technological piece of kit that provides kids with a lot of different options to play around with. We were impressed with how it comes with software that you can easily download onto your PC or Mac. This software is great for teaching kids about the basics of programming, which is very educational and fun. They’ve implemented a simple drag-and-drop function in the software to make it easy for kids to learn. Children have a ton of fun programming their toy to perform a range of different movements. There are also instructions included to help kids construct this toy. They’re clear and help kids to develop their coordination and motor skills. This is an excellent set that allows kids to learn about programming in a fun and accessible way. They also love being able to build the toy and play with it creatively afterward. 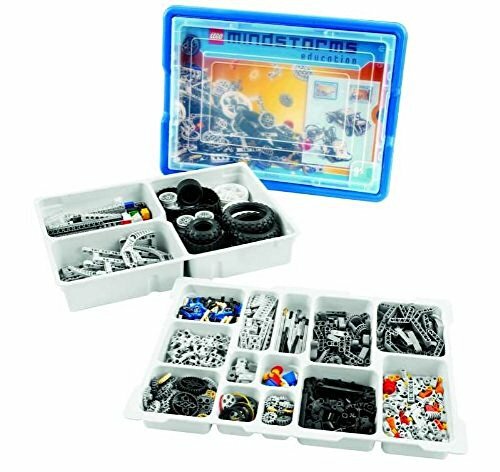 The Lego Mindstorms NXT Resource Set comes with a total of 817 pieces which provides kids with the chance to stay entertained for hours on end. They have a blast constructing all of these pieces and being able to develop their motor skills and hand-eye coordination. Due to the number of pieces that are available, kids are able to improve their problem-solving abilities too. We liked how they’ve included a range of different pieces for kids to assemble. They include worm gear, connectors, belts, axles, beams, and more. The instructions that come with the kit are also great as they take children through a step-by-step process. This kit is awesome for allowing kids to expand on the sets that they already have. They’re able to make more complex toys, which is fantastic for challenging their cognitive abilities. Not to mention, they’re able to play with more creativity. Kids have been loving how they can use this kit to expand on the kits that they already have and develop their motor skills, hand-eye coordination, and creative thinking abilities. The Lego Mindstorms Education NXT Base Set comes with a range of 431 pieces. This provides kids with plenty of parts to stay busy with assembling for a while. During the building process, their motor skills and hand-eye coordination are able to develop well. Moreover, their problem-solving abilities may come into play if they get a little stuck at any point. There are 3 interactive servo motors available that include sound, light, and ultrasonic. In addition to this, there are also 2 other sensors that can both detect touch. These sensors are super interactive and make the toy more fun to play with. We liked how children are given the chance to program this set, which is very educational and exciting. Parents have also been liking how the battery that’s available is rechargeable and how there’s a charger and connecting cables included. This makes powering up the toy a breeze. Children have been loving how they’re able to build this toy and develop their coordination and motor skills, while also having the opportunity to learn about programming. 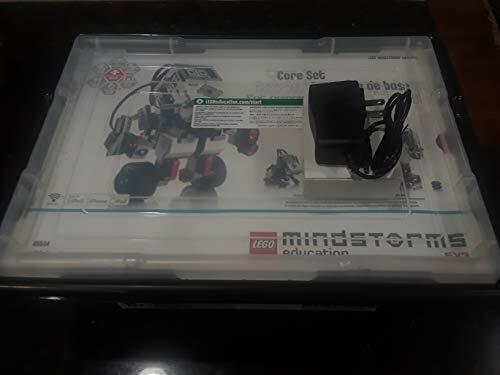 Lego’s Mindstorm EV3 Core Set comes with a total of 5 sensors available which include 2 touch sensors, as well as a color, gyro, and ultrasonic sensor. Kids have a lot of fun with these sensors as they make the toy more interactive to play with. This set comes with everything that kids need to start building and playing with this set. The instructions that are included are easy to follow and ensure that children are able to construct the set properly, while developing their hand-eye coordination and motor skills. We also liked how there’s and EV3 Intelligent Brick included with this set. It’s a small computer which is powerful and works as an effective way to teach kids about programming. The software program that they’ve included is easy to download on a Mac or PC, which makes it accessible and fun for kids to learn about coding. This is an awesome set provides kids with the opportunity to learn about programming in an exciting way. They’re also able to develop their coordination and motor skills while building the set. The EV3 Expansion Set comes with a total of 853 pieces for kids to assemble. With the easy-to-follow instructions that are included, kids are able to start constructing their toy right away. Their motor skills and hand-eye coordination are developed during the process. Not to mention, their problem-solving skills may also come into play too. These pieces can be used to make 6 different models. Therefore, you can feel confident in knowing that this set will last your child for a while. The mechanical and structural pieces that are included are more challenging and stimulating for kids to try and assemble. There are motors included, as well as sensors which make the set more interactive for kids to play with. We also liked how kids are given the chance to learn about programming. This set is both fun and educational for children. Furthermore, kids can learn how to use science and math while using this set. We liked how this set is both fun and educational for children as it allows them to implement math and science while playing with the toy to be more creative. Now that you have a better idea of the different kinds of kits that are available, you may be interested to learn more about what the differences between them are. If you are still feeling confused on which item to pick up for your child, you’ll want to check out this buying guide section. Everything you need to make things clearer can be found, just below. While reading through the review above, you will have seen that there are a number of different sensors available with the different sets. We’re about to take you through the basics of what these sensors do. 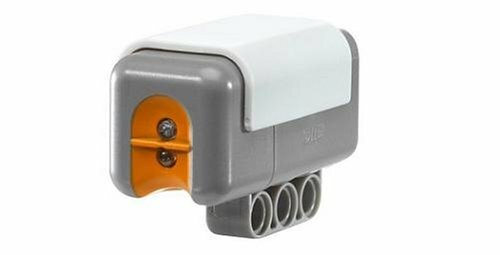 The Ev3 Ultrasonic Sensor is able to measure distances between 1 and 100 inches. It’s also incredibly accurate at the maximum variance that you can get, both up or down, is 0.394″. This sensor has an lit up feature on the front that remains illuminated and blinks when it’s able to listen to anything. 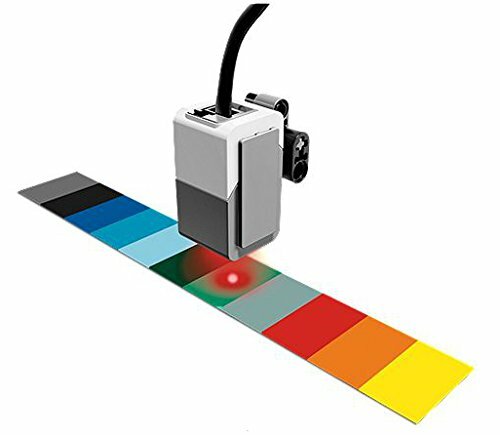 The Ev3 Color Sensor is able to pick up an impressive total of 8 different lights. Not only can it detect different colors, it can also tell the difference between them. Moreover, the sensor is capable of telling the differences between various shaded of light. It can also reflect ambient and red light. People find that they’re able to use this sensor to organize items by their true color. 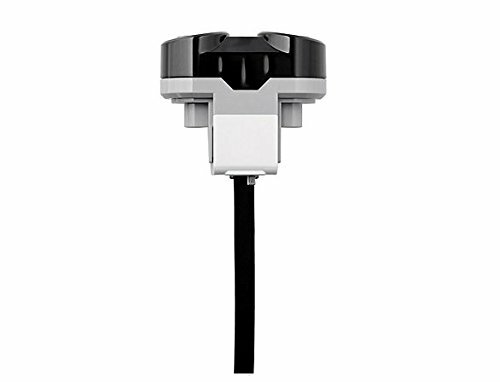 The Ev3 Gyro Sensor comes with an angle mode that allows it measure angles with incredible accuracy. It’s able to identify angles within 3-degrees higher or lower than what it actually may be, which is still pretty impressive. It also comes with a output of 440-degrees per second when being used to it’s full capacity. The Ev3 Infrared Sensor is effective at picking up how close it is to the robot toy. 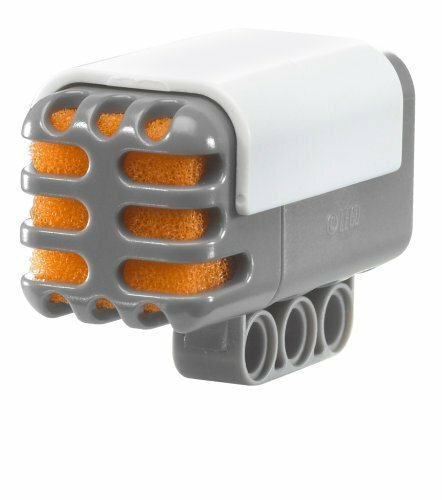 It does this by detecting signals that are given off by the EV3 infrared beacon that’s built-in to the toy. This provides kids with the opportunity to make their own robot toys that can be controlled via a controller. The signal between the infrared sensor and the beacon in the toy is strong, which ensures that kids have more control over their toy. As a result, they’re able to play with it in more creative ways, by taking it through obstacle courses, for example. Light Sensors come as an individual pieces that is to be connected to the Mindstorms toys that it’s compatible with. It is also compatible with both Mac and PC devices. Kids can use this light sensor to help their robot toy be able to see properly. This device enables the robot to distinguish the difference between dark and light. It can even go as far as to detect how bright or dull a light source is, as well as how bright a color is. 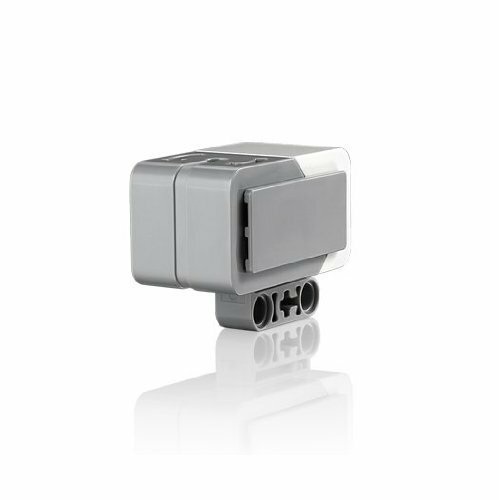 This Mindstorms Sound Sensor comes as an individual component that can be used with PC’s and Mac’s. It’s effective at providing your child’s robot toys with the ability to hear things. We were impressed with how this sensor is able to detect sounds in decibels, which are sounds that humans can hear, as well as sounds that are at a higher frequency that we can’t detect. In addition to this, the sensor is also able to pick up on patterns that it hears in sounds and recognize differences in tone from what it hears. There are a range of different accessories that are available for these sets. Some of them will come with these accessories, and others won’t. So, in order to discover whether you need to purchase any additional accessories for the set that you’ve chosen, take a look below. 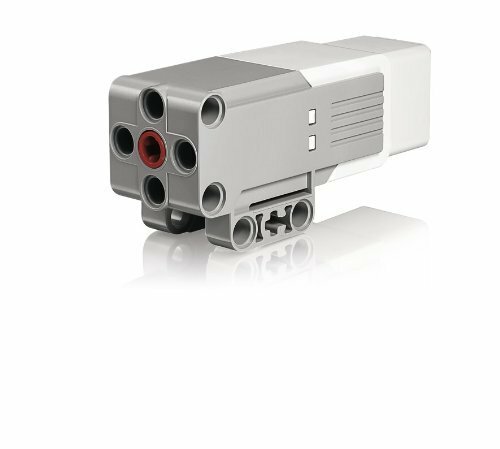 The Lego EV3 Programmable Intelligent Brick features a powerful ARM 9 processor that has a Linux-based operating system. As a result, it’s able to perform with speed and allow kids to use it easily. It also has a total of 16 MB of flash memory, as well as 64 MB of RAM. This provides children with a lot of space to use the programming features without any issues. 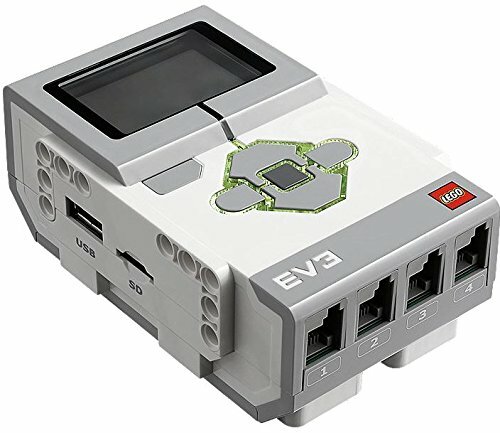 This brick features data-logging and programming that can be uploaded to the software that comes with EV3 toys and accessories. Kids are able to connect their computers to this brick via Bluetooth, WiFi, or the USB port. So, the connectivity is super easy. The sets that we’ve reviewed in this post come with batteries that can be easily recharged. However, not all of the sets feature the necessary cables that you need to plug it in to the wall and charge – so that’s something to look out for. 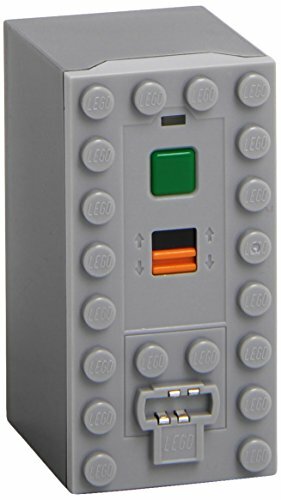 This Lego Power Functions Battery Box can be easily recharged to let your kids continue to play with their toys for hours on end. The Lego Mindstorms line of toys come with large and medium servo motors. The large servo motor features a motor that’s incredibly powerful and incorporates tacho feedback that enables kids to have complete control over their toy. 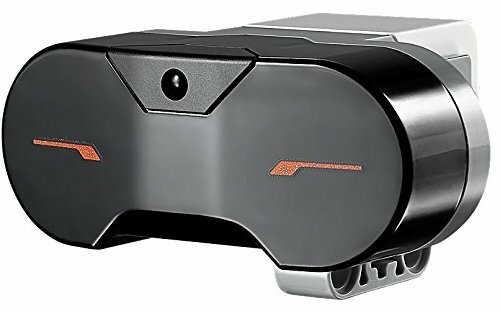 There’s also a rotation sensor built-in which allows the intelligent motor to line up properly and move in a straight line at a constant speed. A large servo motor can also be used to provide kids with reliable readings on various experiments. 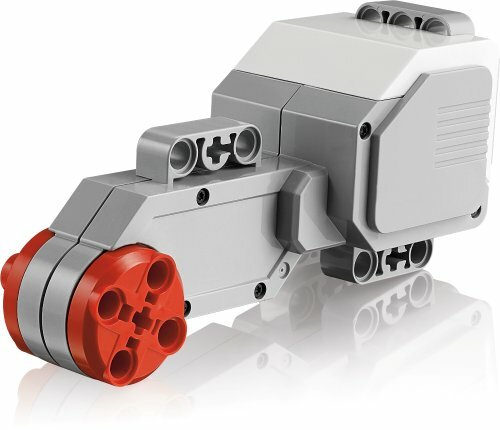 The medium servo motor by Lego has a lower torque but higher speed compared to the large version. But similarly to the large motor, this medium one also features a rotation sensor that has been built-in that enables your child’s toy to move in straight lines. After reading through the range of sets in this review, you may have noticed that not all of them come with all of the connector cables that you may need. 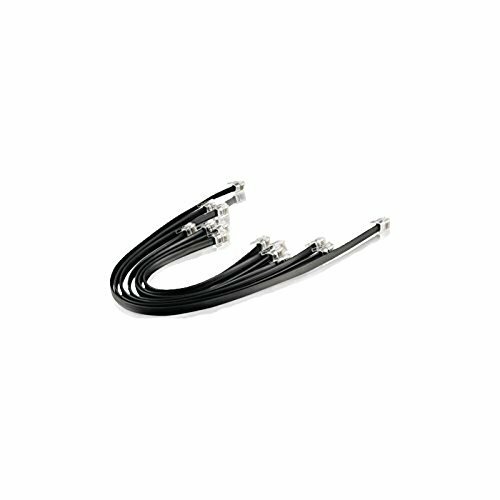 Well, the Lego Mindstorms EV3 Cable Pack comes with a total of 7 cables that you can use to easily connect things. Both the EV3 and NXT 2.0 toy models are compatible with these cables. There is one 20″ cable, two 14″ cables, and four 10″ cables available in the pack. Ev3 have put out a range of books that contain some fantastic knowledge that help kids to continue wanting to learn more in a fun way. If you wanted to know a little more about what these books have to offer, this is the section for you. 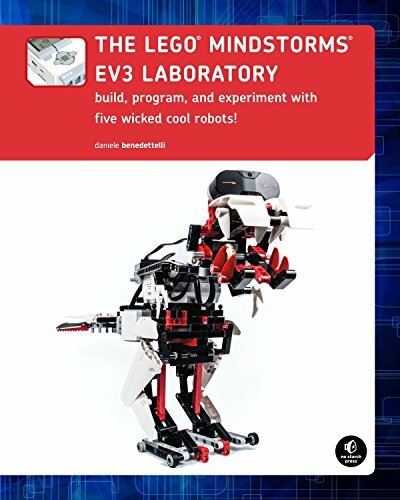 The EV3 Laboratory book by Lego Mindstorms provides kids with the chance to start learning about different programming features and how the various mechanisms in these toys work. A robotics expert, by the name of Daniele Benedettelli, has written this book. They’ve made sure to make it fun and easy for kids to learn more about motors, sensors, gears, blocks, beams, and more. We liked how this book delves into engineering and math as it’s highly educational for kids. Kids are given the opportunity to learn how to program 5 different robots while reading this book! 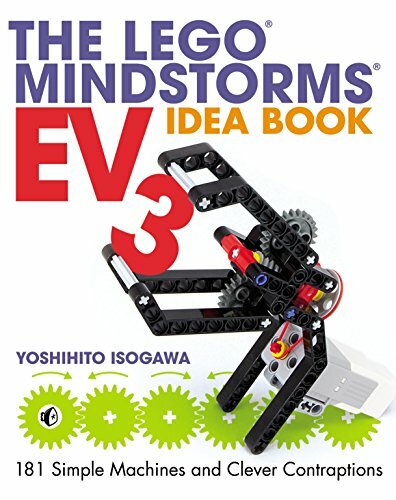 The EV3 IDea Book is a great read for kids and helps them to discover the range of imaginative ways there are to building the various robots in the Mindstorms sets. This book includes information surrounding the different parts available with the sets as well as pictures of the models from various angles. We were also impressed with how the book encourages kids to learn about mechanical principles, as well as how suspension, ball-shooters, and robotic arms work. 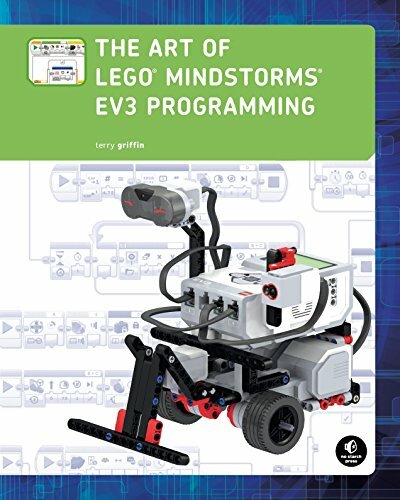 The Art of Lego Mindstorms EV3 Programming book features pages that are full of color and information that has been laid out in a way that makes it accessible for beginners. As a result, it never comes off as intimidating for kid who are interested to learn about programming. The book teaches kids more about debugging, memory management, and other programming skills that are incredibly valuable. They also show kids how the physical pieces, such as the blocks and wires, relate to the programming. Kids love using this book and being able to learn how to program their robot toy to navigate mazes, follow direct lines of path, and respond to the objects in its environment. 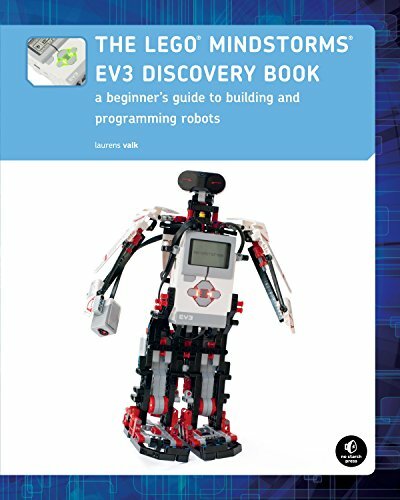 This Lego Mindstorms EV3 Disvoery Book is an excellent introduction for kids who want to learn more about robotics and programming. It starts from the ground up and teaches kids the basics of using programs and experimenting with different sensors and motors. The further your child gets into the book, the more complex the ideas become. This is awesome for ensuring that your child is continuously being challenged and learning new skills. With over 150 programming and building challenges available in this book, you can feel confident in knowing that your child will be busy reading this one for a while. By the end of the book, your children will be well equipped with the knowledge that they need to know how to use connectors, beams, and gears within their own robot toys. If you have done some searches for these kinds of Lego kits on your own, you may have come across some options that have now been discontinued. If you were interested to learn a little more about what these kits had to offer, take a quick look below. 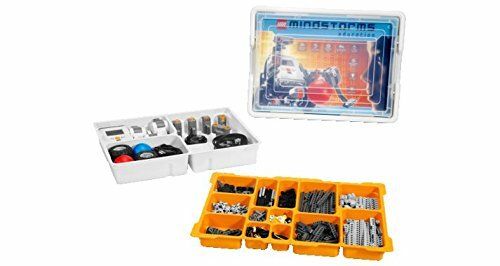 The Lego Mindstorms: Star Wars Droid Developer Kit came with a total of 657 pieces and was recommended for kids who are 9 years or older. With so many pieces available to build, children were able to develop their motor skills and hand-eye coordination. They also had a blast using the Star Wars Droid in their pretend play scenarios, which was fantastic for improving their creative thinking skills. It featured a light sensor and sound sensor that were both built-in. This made the toy more interactive and responsive to its surroundings, which made it more exciting for kids to play with for hours on end. 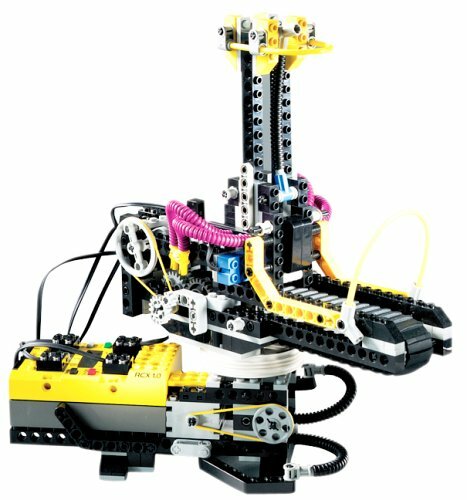 Lego’s Robotics Invention System 2.0 provided kids with the ability to make thousands of inventions of their own. This is because the set enabled children to build and program a range of robots that could do a huge variety of things. They could make their robot toys talk, walk, pick things up, recognize different colors, and much more. Therefore, it was a kit that could keep kids engaged for a long time. It came with 718 pieces which was plenty for kids to construct for hours. The hand-eye coordination and motor skills were able to develop well as a result. This set was also recommended for kids who were 12 years and over. 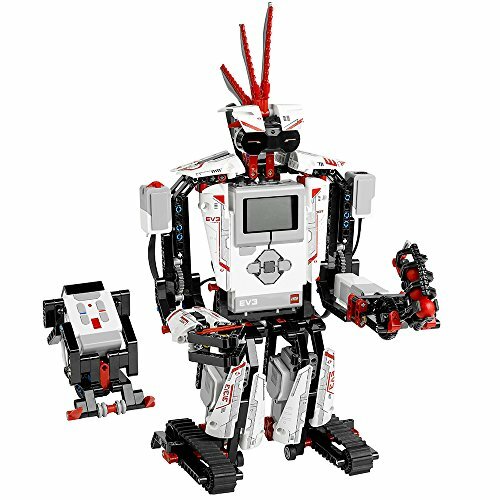 There are 2 versions of the Lego Mindstorms EV3 kits and both of them, seemingly, offer pretty similar features. However, there are a number of key differences between these 2 kinds of sets that you may want to consider. For one, the education models include the Robot Educator, GyroBoy, Robot Arm, Color Sorter, and Puppy. The Home edition features TRACK3R, EV3RSTORM, GRIPP3R, SPIK3R, and R3PTAR, as well as some other bonus ones. The education models come with a rechargeable battery, whereas the home editions require you to purchase this separately. This set features a medium motor, 2 large motors,a programmable brick, sensors, 7 connector cables, and a charger. The home edition includes the same things, except it has 1 touch sensor instead of 2. Initially, the differences between the two types of sets doesn’t seem like it would affect your child’s playing experience too much. However, the Education set has been specifically created to help your kids to learn more. While the home set also encourages kids to learn, the home version is focused on it more. The programming app available with the education edition has more things for kids to do and learn about as well. As a result, this is the option that teaches or parents would want to use when trying to teach kids about programming and building. Lego’s Mindstorms EV3 Home edition was made for individuals to use. The IR sensor available with this one is a little weaker compared to the education set and the precision of the ultrasonic sensors isn’t as great either. However, kids can use the remote to be fully in control of their toy anyway, so these drawbacks may not end up being such a big deal. The programming software is also pretty similar to the education version. One of the only big differences is that the education set features more programming blocks. All in all, if you were looking for something that you could use to teach a class of kids about programming and building, the education set would be best. Having said that, you could still do a good job using the home version. So, that concludes our review on the various EV3 programming robot toys that are currently available. There are a number of sets available and it can quickly become confusing trying to distinguish the differences between them and which one you think your child would enjoy using the most. Hopefully, we’ve provided you with all of the information you need to know to go ahead and make the best decision. The buying guide section includes some great information that clears up some of the confusion surrounding the different parts of the sets and the accessories that are available. You can now feel confident about the set that you’re going to select and ensure that your kids have a blast while also learning about programming. These kits do a fantastic job of encouraging children to learn, while also having a lot of fun.